WASHINGTON — The Transportation Security Administration (TSA) announced on Friday that it will add a new process allowing more U.S. citizens to enroll in TSA Pre✓™ , an expedited screening program that allows pre-approved airline travelers to leave on their shoes, light outerwear and belt, keep their laptop in its case and their 3-1-1 compliant liquids/gels bag in a carry-on in select screening lanes. Previously, to be eligible for TSA Pre✓™, travelers had to opt-in through an airline’s frequent flier program, or be enrolled in one of CBP’s Global Entry, SENTRI or NEXUS Trusted Traveler programs. To date, more than 12 million travelers have already experienced TSA Pre✓™ at 40 airports nationwide, and today’s announcement will expand the availability of this program to a larger portion of traveling U.S. citizens. Starting later this year, U.S. citizens will be able to apply online and visit an enrollment site to provide identification and fingerprints. 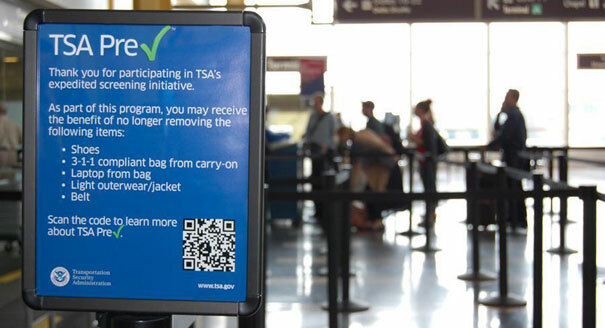 TSA will start the program at two initial enrollment sites — Washington Dulles International Airport and Indianapolis International Airport — with plans to expand to additional enrollment sites nationwide. The TSA Pre✓™ application program requires a background check, fingerprints, and an anticipated enrollment fee of $85 for a five-year membership. Once approved, travelers will receive a Known Traveler Number (KTN) and the opportunity to go through TSA Pre✓™ lanes at security checkpoints at participating airports.